One of the founding fathers of jazz sax, Coleman Hawkins blazed the trail for future generations of saxophonists. 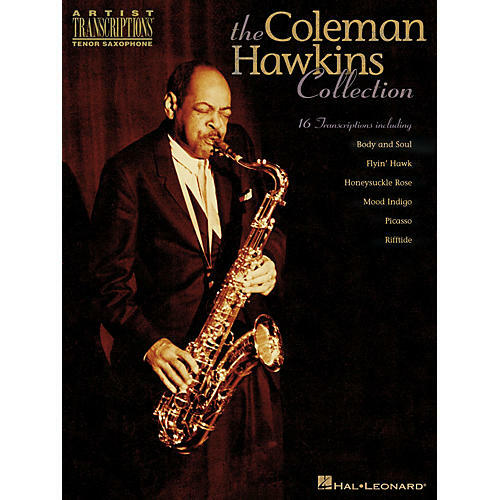 This collection features note-for-note tenor sax transcriptions for 16 highlights from Hawkins' vast repertoire, including: April in Paris · Body and Soul · Flyin' Hawk · Honeysuckle Rose · The Man I Love · Mood Indigo · Picasso · Rifftide · Self Portrait (Of the Bean) · Stuffy · You'd Be So Nice to Come Home To · and more. Features a bio and a newly updated discography, complete with notes about the recordings (date, location, players, original issue info, etc. ).